1:20 – That was the sound of Eric throwing his notes away. We’re working without a net now, folks. 1:43 – I’m still referring to the plot of Pirates of the Caribbean: At World’s End. 1:52 – The Authority’s “shiftship,” the Carrier, uses the Bleed to travel instantly between worlds, as well as anywhere on Earth. 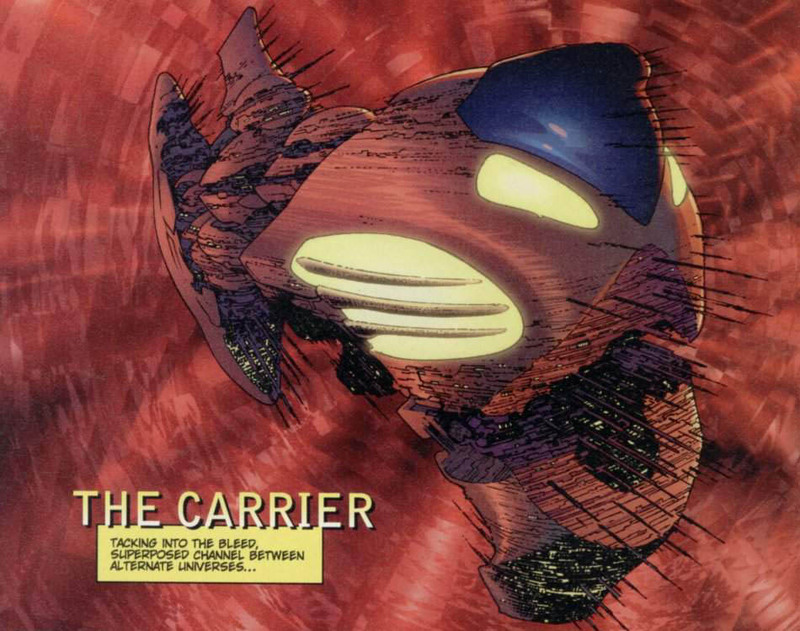 The Bleed became part of the mainstream DC continuity (along with select elements of the Authority’s Wildstorm universe) in Grant Morrison’s 2008 crossover Final Crisis, in which Morrison posited that the entire multiverse is a minuscule flaw in a tiny capillary in the circulatory system of some unimaginably huge beast. Since the space between worlds is a blood vessel, Final Crisis concludes that the Monitors (the interdimensional guardians of the DC multiverse) must, in fact, be vampires. 3:21 – We’re referring to Eels’ Woman Driving, Man Sleeping, from their 2001 album Souljacker. 5:46 – I think Eric’s referring to the Bob’s Burgers scene again. 6:11 – Although the Inn at Worlds’ End is a dreamlike place, I think we’re meant to understand that it physically exists. If they are in the Dreaming, these characters have somehow entered it physically – a concept we’re going to see again very shortly. 6:58 – The constant snow and fog in the first Silent Hill, combined with the open rents in the earth that serve as convenient gameplay barriers, have drawn comparison to Centralia, Pennsylvania, where a coal fire that’s been burning since 1962 has given rise to smoke-filled air and collapsing sinkholes in the ground. 9:35 – Or, more precisely, life-saving chirurgery. 9:52 – Cluracan made his first appearance as Queen Titania of Faerie’s ambassador to the Dreaming in Sandman (vol. 2) #26, part of the Season of Mists story arc. We’ll be seeing Cluracan in the role of ambassador once again when he tells his tale in the next issue. 11:49 – Constantine took an ill-fated train ride in Hellblazer #17. 13:09 – “Okay. Here goes. Barbie’s idea. It’s like, that people… I mean everybody. All of the people in the whole world – no matter how dull and boring they are on the outside. Inside them they’ve all got unimaginable, magnificent, wonderful, stupid, amazing worlds… Not just one world. Hundreds of them. Thousands, maybe.” For more on A Game of You, why don’t you check out our informative two–part recap, guest-starring our friend Joanna from What’s Lightsabers, Precious? 13:24 – I mean that Robert assumes the person screaming is having a nightmare. Perhaps he’s in denial that it could’ve been someone in real trouble. In any event, it’s a conspicuous mention of dreams. 14:29 – Would that Robert were so lucky. 16:09 – In subject matter, this seems almost like Lovecraftian cosmic horror: our world is full of incomprehensibly vast and ancient living entities. In tone, it’s more like a Jack Finney cozy supernatural story. There’s no sense of dread or urgency to Robert’s journey through the dream of the City. 16:27 – At one point in Lewis Carroll’s 1871 Alice’s Adventures in Wonderland sequel Through the Looking Glass, Alice is introduced to the sleeping Red King. Tweedledum and Tweedledee tell her that she’s part of his dream, and the moment he wakes, she’ll be gone. 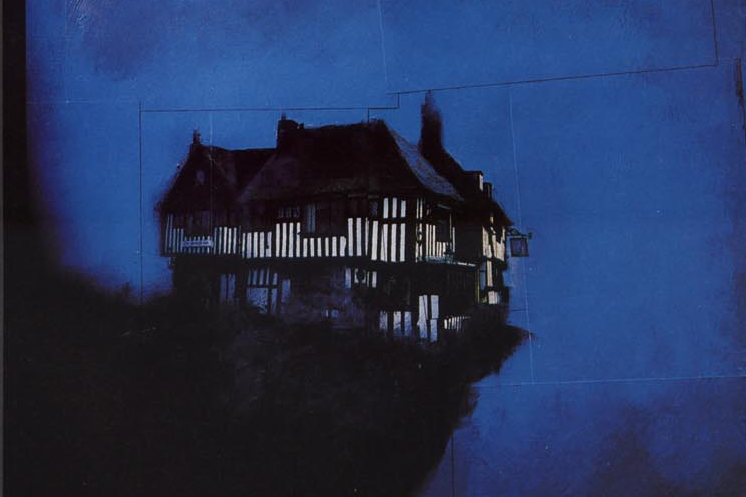 19:00 – We didn’t mention it before, but all three covers in this week’s episode are by Dave McKean. 19:55 – Eric’s making a reference to Ang Lee’s 1995 film of Sense and Sensibility, in which a character brags about her brother’s eligibility as a bachelor, raising as evidence his possession of a barouche, another type of carriage. 25:11 – Correction: it’s Klaproth’s apprentice, Petrefax – also from the Necropolis Litharge – who tells his tale in the upcoming Sandman #55. 25:34 – Ehrgeiz was a 1998 PlayStation fighting game, probably most famous for including several characters from the RPG megahit Final Fantasy VII. The character we’re talking about is Dasher Inoba, and his (neverending) ending can be seen here. 26:14 – “The palace of pleasure” was one of many monikers justly applied to Caliph Haroun al-Raschid’s Baghdad residence, which we visited in Sandman #50. 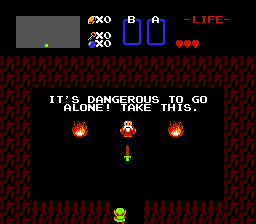 25:57 – Another week, another Legend of Zelda reference. 28:41 – Is Cluracan special, or did Otho visit all the ambassadors with subtle solicitations for regicide!? 29:54 – It’s called Il Vecchio, and it’s set a little bit before the Borgias rose to true prominence, during the reign of Cosimo de Medici in Florence. It’s fun. 33:15 – Morpheus would rather do nothing – take a drink! 34:23 – Cluracan doesn’t exactly know these insinuations are true – not that he probably cares. But he does know the Psychopomp took power through “death and lies,” because it was part of his prophecy earlier. 38:55 – When I say a statue, what I mean is a torso mannequin. 40:51 – Little Lion Man is possibly Mumford & Sons’ biggest hit. 42:54 – Eric’s probably referring obliquely to Neil Gaiman’s novel Anansi Boys. 43:23 – We don’t know much about sailing ships, I’m afraid. But Jim mentions that they use an engine to pump out the bilges – maybe that’s what the donkey used to do. 46:37 – Eric’s right. A Doll’s House is an Ibsen play. 46:47 – Eric’s making reference to the very funny Angel episode “Guise Will Be Guise,” in which the hapless Wesley is forced to pass himself off as cool vampire detective Angel. 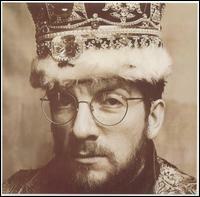 50:34 – Elvis Costello should not be confused with the Emperor of America, who we met in Sandman #31. And who didn’t have such a fancy crown. 54:59 – This is a favorite line of mine from Sandman #40. It’s also paraphrased by Patrick Rothfuss in The Kingkiller Chronicle. 58:38 – You hear this cited all over the place – DC Database, Comixology and Goodreads all describe Worlds’ End as a Zero Hour tie-in. But Worlds’ End ran from July to December 1993 and Zero Hour didn’t properly start until September 1994. And while it’s possible Gaiman knew that far in advance that a big multiversal shake-up was coming, the reality storm is adequately explained in upcoming issues of Sandman, so no Zero Hour connection is needed. I’m considering this myth busted.